How can I install Scapy? But one question. 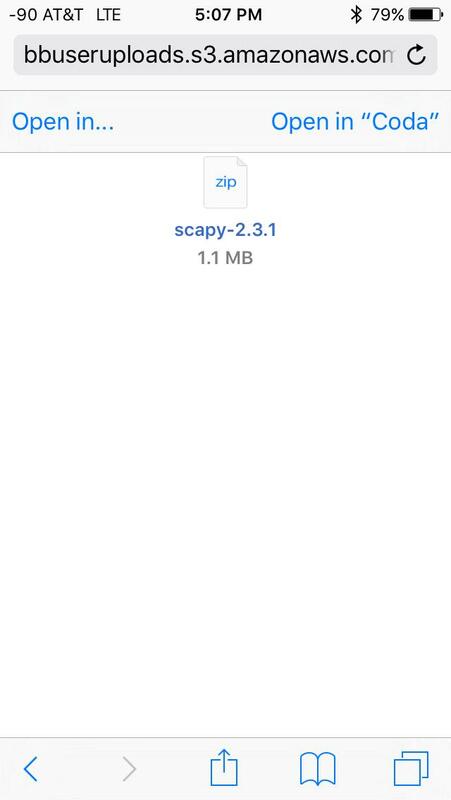 How can I install something like Scapy? Try using the pip command in StaSh. I guarantee that you will find yourself using StaSh in the future for other tasks as well. @Webmaster4o Nevermind, I see you changed it. Does Scapy actually run under Pythonista? @ihf yes, it imports without error. @miwagner1 I updated it, that might fix your issue? Ya fixing the path to have Pythonista generate, os.path.expanduser did it. now lets hope apple won't make him pull the extension as its letting me do all sorts of cool stuff. Just for fun, I downloaded scapy 2.3.1, unzipped it, and moved it to site-packages. If I then try to run main.py, I get errors in console regarding IPv6 support disabled in Python. That's probably OK but then the program stops at line 278 with NameError:name 'LOOPBACK_NAME' is not defined. How did you get this to run? I didn't actually test it, I just imported. Import worked for me, though. I am getting the same NameError:name 'LOOPBACK_NAME' is not defined error that @ihf came across a year ago. Does anyone know how to get around that? I would really like to be able to use scapy. Thanks! Look at this link. I have not tried it. I came across this before but didnt make test the change because Im on an iPad running stash. Ill give it a shot and see what happens. Thanks! Pythonista does not support modules like subprocess. Hence I think that you may not be able to run this on pythonista. I am able to install it but it gives error while running (not able to start the interactive session). @abcabc Interesting. So how are people actually using scapy then? Just running it from a script? Seems odd that there is no interactive shell to test on..